First up, for the ladies! A corsage doesn’t have to be itchy and outdated. Now, we have multiple options— including bangles and slap bracelets! Classy, fun to wear, and the perfect added touch between practical and edgy. Don’t you just love the gold bracelet options!? You can also order a flower crown (if you dare!) or a smaller flower hairpiece on a comb to tuck in to your updo for the dance. Prom is the one time to go all out and dress up like you never have before! We can’t forget about the guys! 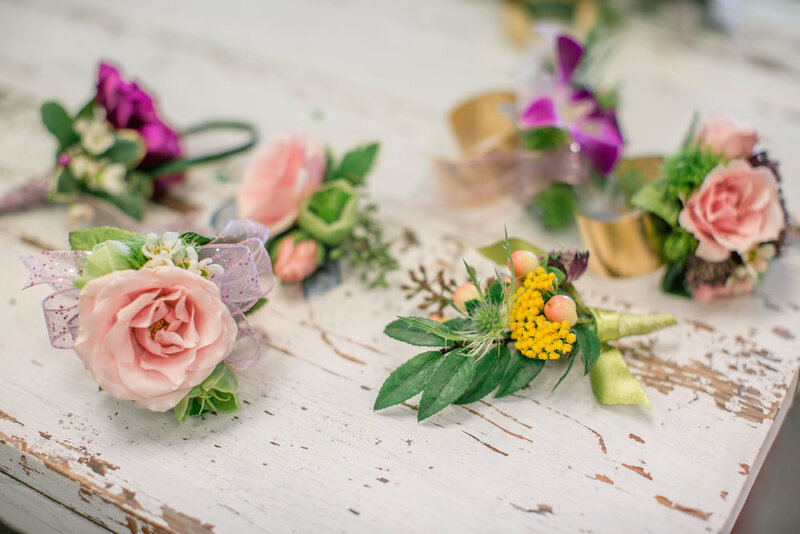 Boutonnières do NOT have to boring! 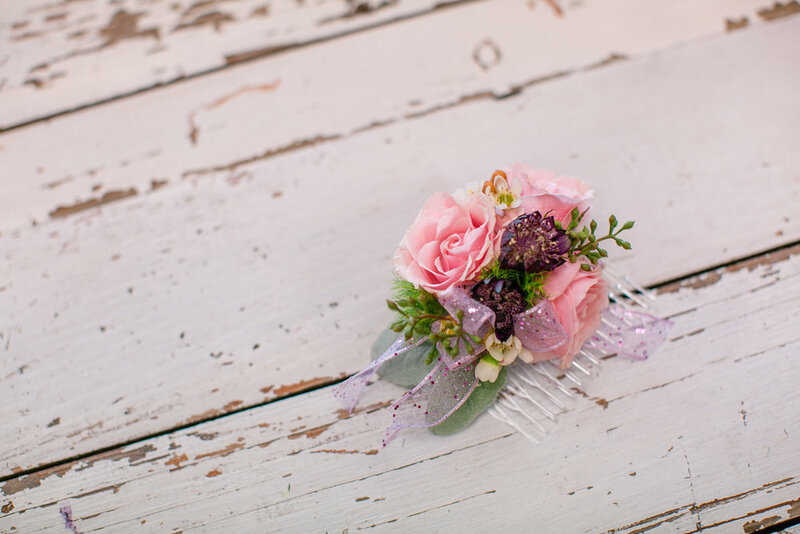 You can have your pick of colors and flowers to match your date’s corsage.